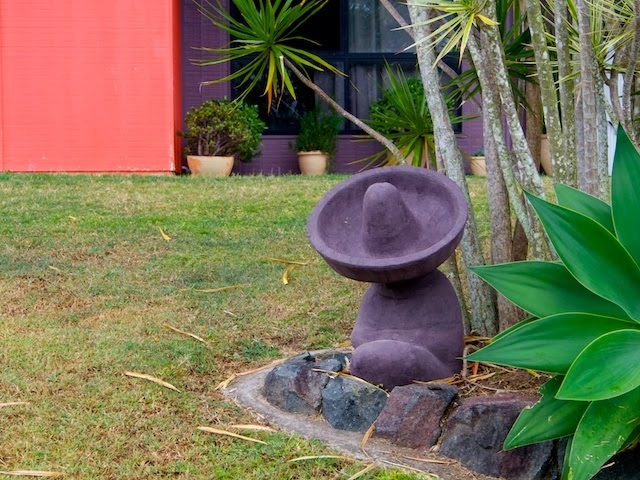 We are no fewer than twelve thousand kilometres from Mexico, yet sombreros and sleeping Mexican figures seem to bob up from time to time, along with suitably exotic desert-motif planting. It's all a part of the "Californian" influence I suspect, which swept through our housing styles in the sixties, but I also suspect that it's not a deliberate expression of that style. The square? Well that is a deliberate expression!